Mazda is once again bringing innovation to the auto industry with its advanced engineering. This past December at the Los Angeles Auto Show, the automaker announced a new SKYACTIV®-X engine, debuting in the 2019 Mazda3. 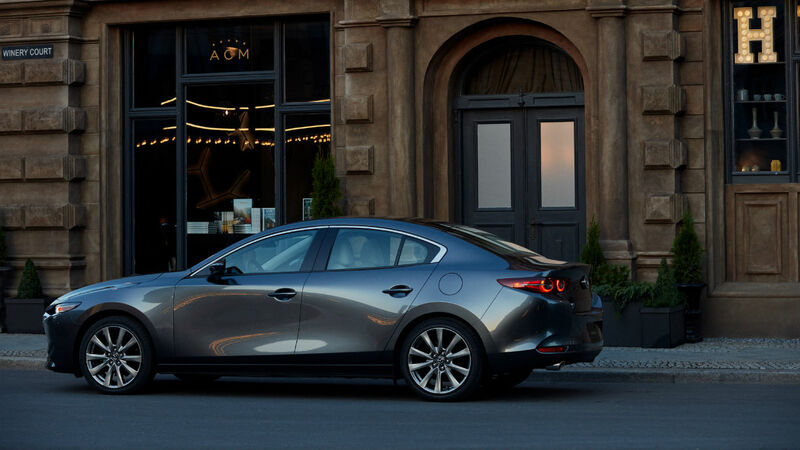 With the 2019 Mazda3, the automaker elevates its compact car with a premium interior and stellar new engine. Mazda’s new SKYACTIV®-X engine an all-new type of engine. Although many Mazda fans are waiting on a rotary engine, this motor isn’t a rotary; instead, the SKYACTIV®-X employs Homogenous Charge Combustion Ignition technology. Its design is based on a diesel engine, in which compressed fuel ignites concurrently instead of spreading from a local spark. While this is difficult to achieve with a gas engine, Mazda developed a system that uses a small spark and generates extra pressure to produce power without sacrificing efficiency. Mazda supercharged the engine for greater efficiency and integrated it with a mild-hybrid system, giving a bump to the acceleration and making the vehicle more responsive than before. As a result of this fine-tuning, the new SKYACTIV®-X engine is approximately 20 percent more efficient when compared to its conventional gas engines. Feel the power and performance for yourself when you check out the 2019 Mazda3 at El Dorado Mazda.